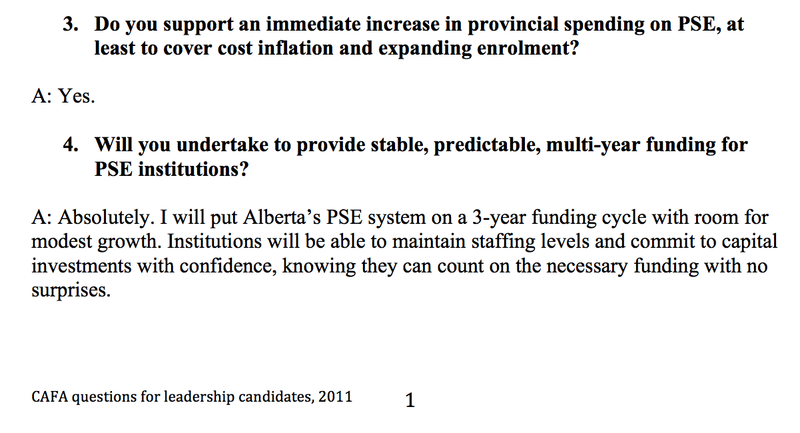 This entry was posted in Uncategorized and tagged alberta budget 2013, alison redford, cafa, confederation of alberta faculty associations, university autonomy. Bookmark the permalink. Too bad they didn’t ask Lukaszuk those same questions. Has anybody seen a really perceptive analysis of what the heck is going on in Alberta politics? For example, how has someone as silly as Lukaszuk advanced so steadily through the party ranks? Politicians renege on pre-election promises all the time, of course, but the overall sense I am getting is that the PCs really have no master plan of any sort.